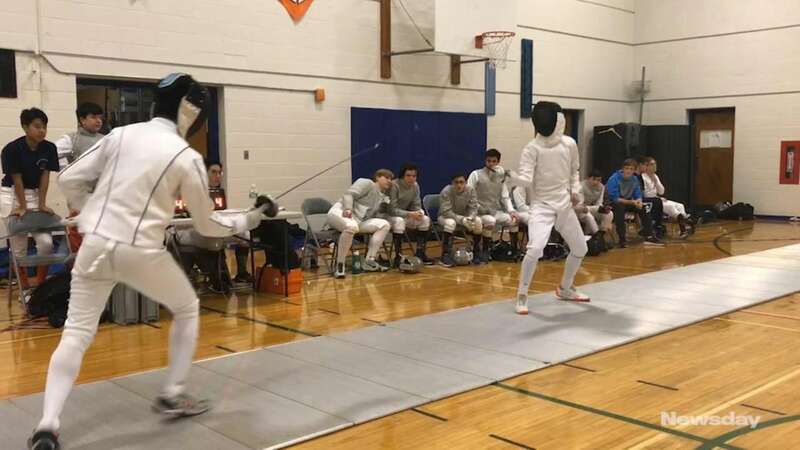 The Great Neck South boys fencing team led early and staved off a late comeback attempt to defeat visiting Garden City, 15-12, on Friday and remain undefeated. The undefeated girls team also won their match against Garden City. In the boys’ deciding epee bout, Edward Guo defeated Sean Maas, 5-4, earning the match-clinching point at 14-11. Tied 4-4, Guo waited patiently until Maas lunged, then slipped in the winning touch to secure the win. South led 11-6, but Garden City won the next three bouts. Wins from Anthony Pei and Josh Magidson put Great Neck South ahead 13-9, but again Garden City chipped back with wins from Zach Ortiz and Sebastian Vazquez. It was a typical match in this longstanding rivalry. Guo’s clinching win comes as no surprise to his teammates. 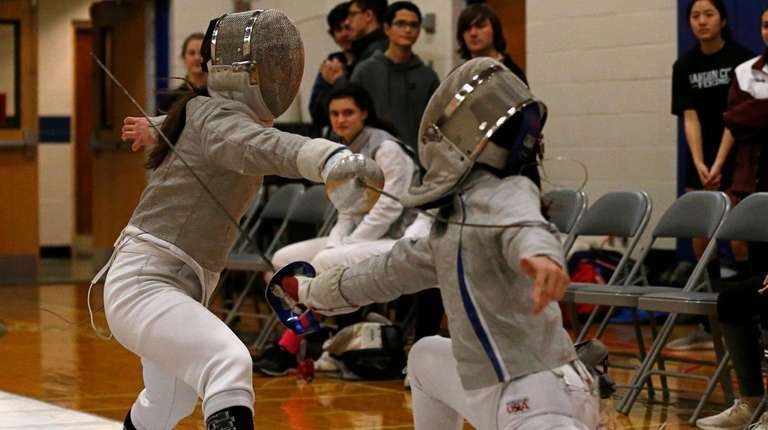 Along with Kevin Feng and Andrew Choe, they lead a strong epee team that has been the anchor in many of South’s wins this season. Great Neck South (11-0) got its second victory over Garden City (8-3) this season, and with just one match left, the win puts the Rebels in line for an undefeated regular season. Perhaps more importantly, it keeps pace with the GNS girls team, which also improved to 12-0 with a 20-7 victory. It’s a good situation to be in. The superior talent on both teams means practice is a daily opportunity to gain experience against top competition.